Famous faces recreate their childhood holidays. Len takes antiques expert and auctioneer Anita Manning back to Rothesay on the Isle of Bute to reminisce about her 1959 holiday. 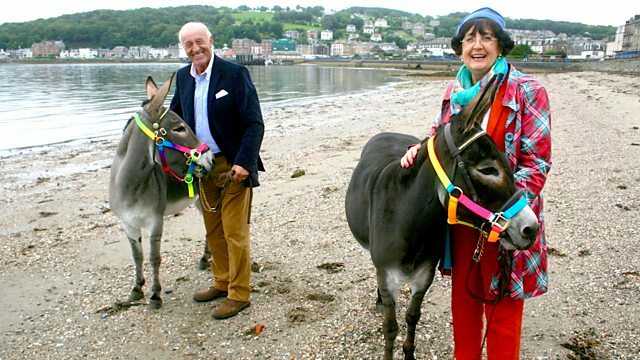 In today's journey through time, Len Goodman takes antiques expert and Scotland's first female auctioneer Anita Manning back to Rothesay on the Isle of Bute to reminisce about her holiday from 1959. They travel to the Isle in style aboard the Waverley steamboat. The Waverley is the only fresh water steamboat left in the world and proudly travels up and down the Clyde. Once they arrive on Bute, Len surprises Anita by paying for a game of pitch and putt. They talk about her time on the island with her parents and where her interest in antiques came from. Anita explains to Len that as a girl she had a fun holiday job leading donkeys down the beach, so Len rustles up another surprise by arranging for her to do it again.